Yesterday I decided to "rediscover" what was in some shoe boxes on the top shelf above my craft desk. Oh my! Some were still taped shut from our move in 2007!! Needless to say, many dried up paints were tossed and I have quite a few boxes of crayons set aside for our great grandson. But in one of the boxes were some pieces of backgrounds that I made about 2002 or 03... Well, one has already been made into a card. I also got my Cricut going with the Serenade cartridge and voila! Stamped image by The Angel Company because the inside text is perfect, "for the apple of my eye." The red scallop trim on the right is from a Bazzill package of card stock strips. 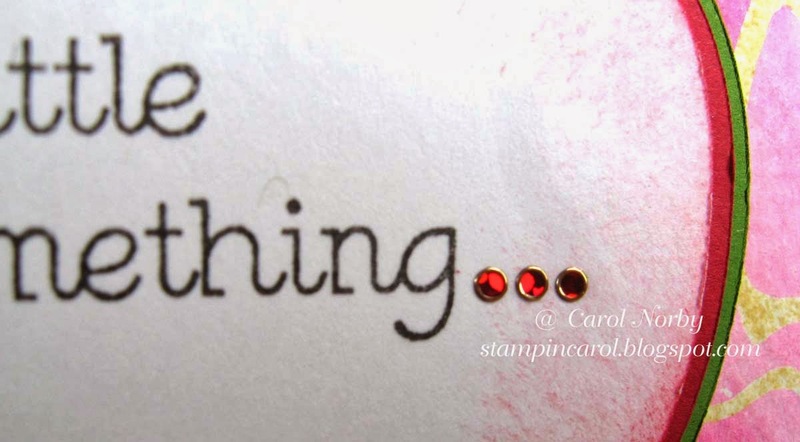 There were 3 little dots so I decided to use some Stampendous red bling stickers to cover them and make them more color coordinated. I dribbled rubber cement on water color paper, let dry, then stamped my images with dye ink. I then took a wet paint brush and swiped the images to pull the color around. After dry I rubbed off the cement and have this cool looking rubber cement resist paper! This was popular in the stamp club I was in when in northwest Wyoming way back in about 2000 - 2001. I'm happy that my deowning inspired you to check out your boxes! Isn't it interesting how we forget about things and then when we see them, it inspires us to be more creative! 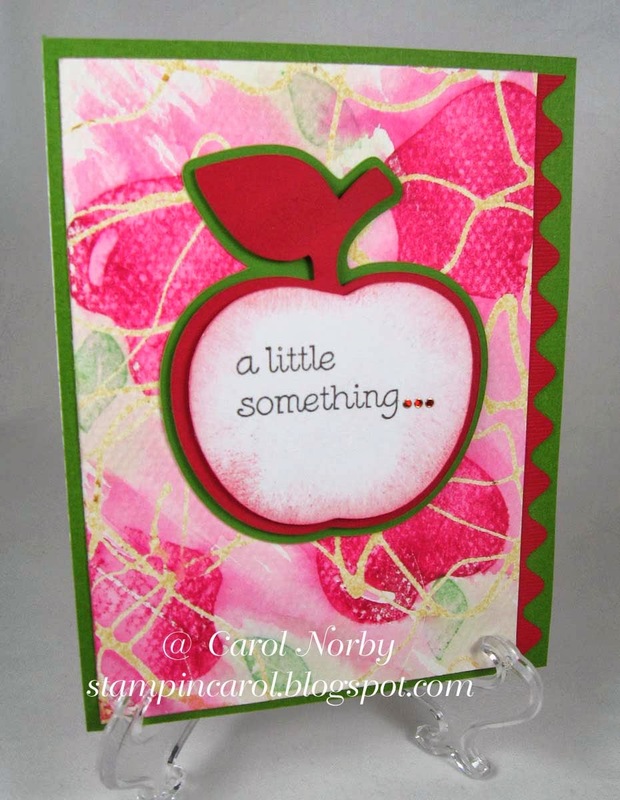 As to your card, no clue but I'd guess a watercolor resist on watercolor paper, in any event it is beautiful!